News and information about the ice fishing conditions of Saginaw Bay and the Saginaw River, and other fishing news from around Michigan. 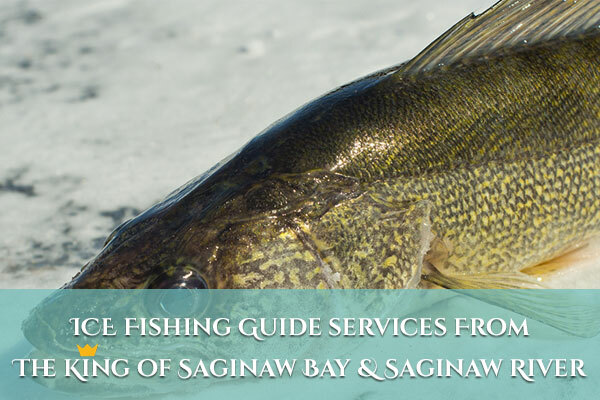 The Walleye King has extensive knowledge of ice fishing on Saginaw Bay and Saginaw river and many parts of Northern Michigan. Ice fishing guide package prices varies on what you are looking for, we offer a wide variety of guide packages to choose from. There are an assortment essentials you should bring on your next ice fishing trip, we outline the supplies and gear you should bring with you. Ice fishing is all done for the year. Thank you to all the great people I met this year. Let’s hope for a longer season next year. 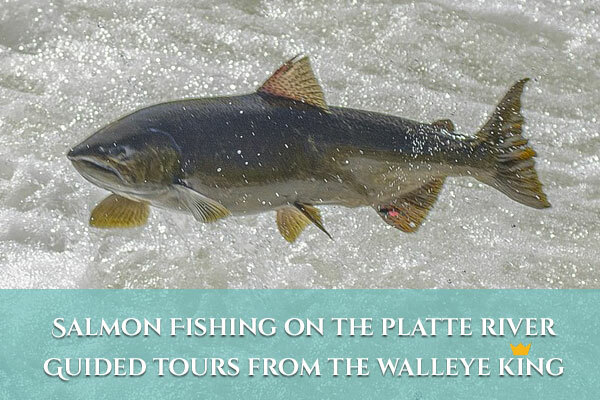 For those interested I do guiding out of my drift boat on the Platte River for Coho Salmon starting around end of August and September when they start running. For those that don’t know The Platte River is by Sleeping Bear dunes south of Traverse City. Beautiful country up there. If interested get ahold of me this summer.